Yes, there is a residential solar power tax credit. On October 3, 2008, President George W. Bush signed into law the Emergency Economic Stabilization Act of 2008. This bill extended the solar energy and energy efficiency tax incentives provided by the Energy Policy Act of 2005 (EPAct 2005). EPAct 2005 provided a solar energy tax credit for solar water heating and photovoltaic solar power systems. For both solar water heating and pv systems, EPAct 2005 allowed a tax credit of 30% of the system costs up to $2,000. However, the EPAct 2005 tax credits expired on December 31, 2008. The Emergency Economic Stabilization Act of 2008 extended the expiration date of both the solar water heating and photovoltaic system tax credits by eight years. They now don't expire until December 31, 2016. 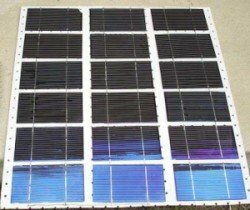 In addition to extending the expiration date, the 2008 Act also increased the tax credit for photovoltaic systems by removing the $2,000 cap. 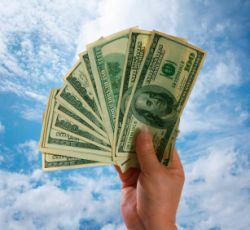 This is great news for homeowners because pv systems typically cost upwards of $30,000. And in 2009, the Obama Stimulus Plan removed the $2,000 cap on solar water heating systems. You can find out more information about this renewable energy tax credit at our Solar Energy Tax Credit page. If you want to find more information about other solar energy incentives such as solar power rebates and solar power grants, take a look at our Economics of Solar Power page. If your planning on installing a solar water heating or photovoltaic system, make sure you take advantage of the solar energy tax credit. 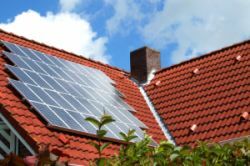 Energy efficient home improvements like solar are great investments for your home and your future.